Also I’m still looking for long-term work! To anyone looking for an artist, I definitely recommend kira. She is my favorite Roblox artist by far, I love her cartoony style, and she has a good personality all together. I also regularly hold sales on my twitter so it’s best to keep an eye out on there! Also I’m still looking for a team to work with! Some really amazing work. one question is how long does each one take? A rough time frame would be appreciated. It could take up to two-three weeks for bigger commissions but I give myself that time frame for all commissions to give myself time to put out better quality stuff! 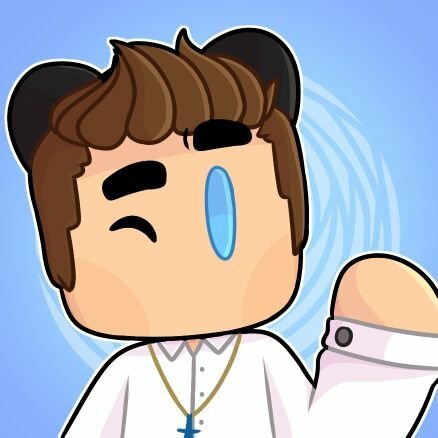 @KxraDraws creates amazing work and even when times are low somehow they still drive to improve things for not only themselves but the wider industry. Ordered a few pieces from her. Will definitely get more in the future. The quality of work is great! Kinda rude to just block me for asking for you to draw a part of ad you just basically copy and pasted. Wasnt even arguing, just asked. Very unprofessional to just block people tho, I was recommending you to lots of developers and myself filled a number of orders in the past. Stay strong my dude, maybe one day you’ll realise that its not the way to just turn away paying customers like that. I actually hired her to make a thumbnail for me and it’s been 2 months, and I paid her because she owed someone money, and so we agreed that in return she would do the thumbnail for free. Can back up his claim, he recommended me to Kxra. That’s odd- I commissioned him last week and received it a week later. Maybe he forgot? Go Kxra or go home!! Excellent work, very fast delivery, very competitive pricing. In my opinion, redrawing something like you requested is a reasonable demand to make of the artist, especially if they didn’t fulfill your order correctly. The area that wasn’t drawn wasn’t particularly complex, either. Thats why I left a bad review here. I was satisfied most of the time until recently when he basically rushed my order and then blocked me, later on antagonizing me on twitter so I look like the one in the wrong here. I didnt even mean to be rude or anything, i talked to him like i always would, then I was blocked and denied his service. This feels sad considering i’ve recommended him alot. What do you use to make these? How long does it take you? Also, do you accept commissions?